According to Fantasy Football Calculator, 10 of the first 13 players being drafted are running backs. When observing ADP it is clear to see that there are players like Dalvin Cook that have a level of expectation that will be hard to satisfy in 2018. Cook is being drafted as the 13th player off the board and is the first player taken in the second round on average. He is being taken ahead of guys like Julio Jones, Keenan Allen, Michael Thomas, and Davante Adams who all had great campaigns last year and are projected to do the same this season. Wide receivers are being criminally undervalued in the first two rounds which is altering how Fantasy gamers view Fantasy ADP value. There is plenty of Fantasy ADP value when we examine wide receivers. If 10 running backs are being taken in the first 13 picks, that means there are really valuable players that should be first or second round picks that will fall to the third round. Let’s take a look at some wide receivers to target that will outproduce their current ADP in this week’s Fantasy Stock Watch. Keenan Allen was the WR3 in PPR last season with 284.2 Fantasy points. 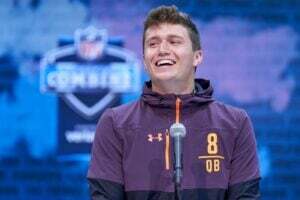 That is more than Christian McCaffrey, Leonard Fournette, Julio Jones, Dalvin Cook, and Michael Thomas – all of whom are being drafted ahead of Allen. Allen had a monstrous 2017 campaign after being plagued by injuries for the previous two seasons. His 102 receptions for 1.393 yards and six touchdowns were validation for many Fantasy gamers that Allen could be a monster in Fantasy football. His 169 targets showed Philip Rivers’ trust in his number one wide receiver, especially in the red zone where Allen saw 24 targets (first among wide receivers). Allen is an obvious candidate as a WR1 option in the second round while the general inclination is to grab a “bell cow” running back in the first round. Imagine what advantage you would have at the wide receiver position if you were to grab an Odell Beckham Jr. in the first and swing back around and take Allen as the WR2 on your Fantasy team. Allen is a guy who can be the WR1 overall when you consider he only turned four of those 24 red zone targets into touchdowns. Safe money says that percentage will skew in Allen’s favor given the same number of targets inside the 20 in 2018. Hunter Henry and Antonio Gates’ combined vacant 23 targets adds to the appeal of Allen when the Chargers are in scoring position. Allen has a chance to finish as the WR1 overall in Fantasy and is being drafted as the WR6. The 2017 Comeback Player of the Year is in store for a monster 2018. The public is freaking out about the Jameis Winston suspension and what it means for the Buccaneers top offensive weapons. Mike Evans is at the top of this list and is being ridiculously undervalued. This is great news if you are reading this column because the Fantasy ADP value that the Bucs wide receiver has this season presents a lot of opportunity in drafts. In 10-team leagues, it is quite possible for Evans to be the WR3 on a Fantasy roster. Of course, this strategy is neglecting the workhorse running back- but hear me out. The high-ceiling and high-floor plays of target-monster type guys is what you want in Fantasy football, especially when we are talking PPR leagues. In a 10 Team league, at the four spot, for instance, a wide receiver-heavy draft could be Antonio Brown (1.04), Davante Adams (2.08), Mike Evans (3.04). Guys like Devonta Freeman and Jordan Howard who have proven track records of RB1 finishes in PPR are dropping to the fourth and fifth rounds of 10-team league drafts which is absurd. Joe Mixon, Derrick Henry, Jay Ajayi, Rashaad Penny, Derrius Guice, and Royce Freeman are all going in the fourth-6th round of Fantasy drafts with perceived RB1/RB2 upside. Considering all of these running backs that are falling, Mike Evans projected Fantasy ADP value is outstanding in the third round. In the two games that Evans played without Winston last season, he had 12 and 10 targets respectively. He finished with five catches for 92 yards and 6 for 78 with no touchdowns scored in either game. There is not a significant drop-off in production and usage here. 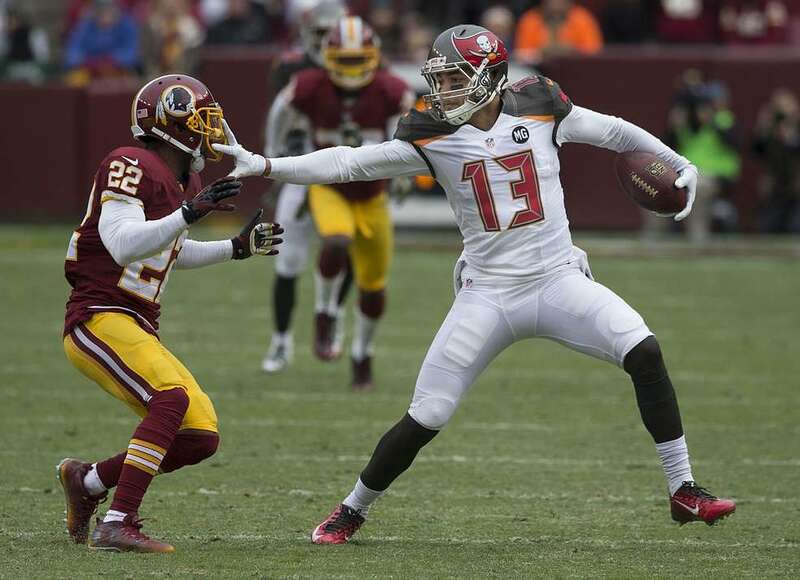 Even if Winston misses three games, Evans is a safe bet to put up WR1 numbers in his quarterbacks’ absence. However, Evans will fall into the third round at which point he is a must-grab player in Fantasy football. Last year’s WR17 is due for positive regression as Evans was the WR3 overall in 2016. Golden Tate is currently being drafted as the WR22 in PPR. In a recent 10-man mock draft on ESPN, he was drafted at the end of the fourth round as the WR19. If this does not scream Fantasy ADP value, I do not know what does. Tate was the WR12 in 2017 and has caught at least 90 passes since 2014, his first year with the Lions. Fill me in if I am missing something but any way you slice it, Tate is being under-drafted. The Fantasy ADP value is obvious when you consider that Tate could justifiably be a WR4 on a Fantasy team and finish as a WR1 overall. That’s just silly. Sure, Tate’s upside is capped as he does not usually finish with high yardage totals (barely over 1,000 in the past two seasons). But we know what we are getting with Tate. Ninety catches and 1,000 yards. The run of running backs in the first two rounds is making Tate’s ADP drop significantly which puts him in the conversation of guys you want to target this season. Tate had 120 targets in 2017 which was his lowest total since 2013 when he was a Seahawk. Positive regression is due in that category especially when you consider that Eric Ebron’s 86 targets are now in Indianapolis. Ebron had 12 red-zone targets last season which should favor Tate as Matthew Stafford has always looked for Tate at the goal line on quick outs within five yards of a score. Tate could be used more this season now that Matt Patricia is running the show. The former Patriots defensive coordinator has set up more of a run-first mentality which should favor Tate in the intermediate game. Although Tate will be 30 in August, he still has the ability to break a 10-yard slant for 60 yards as he is still one of the best wide receivers in the league after the catch. Buy on Tate as a guy who will return Fantasy ADP value in 2018. Ready to get your Fantasy Football prep kicked into gear? Check out Full 60 Fantasy Football, where Joe Pisapia, Scott Bogman, and The Welsh bring the goods every week.